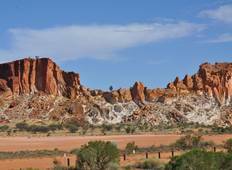 Explore a wide diversity of tours through Central Australia. We have 13 tours that vary from 3 days to 7 days. With the greatest number of departures in May, this is also the most popular time of the year. 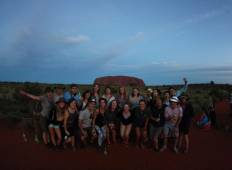 3 Day Uluru ROCK DROP OFF "Alice Springs to Ayers Rock (Uluru)"
7 Day Package "Cairns to Ayers Rock (Uluru) plus continue to Darwin"
7 Day Package "Adelaide to Ayers Rock (Uluru) plus return to Adelaide"
"The tour was amazing! Well-organised, a knowledgeable and overall just great guide,..."
7 Day Package "Cairns to Ayers Rock (Uluru) plus continue to Adelaide"
7 Day Package "Darwin to Ayers Rock (Uluru) PLUS return to Darwin"
5 Day Package "Darwin to Ayers Rock (Uluru)"
7 Day Package "Darwin to Ayers Rock (Uluru) plus continue to Adelaide"
5 Day Package "Adelaide to Ayers Rock (Uluru)"